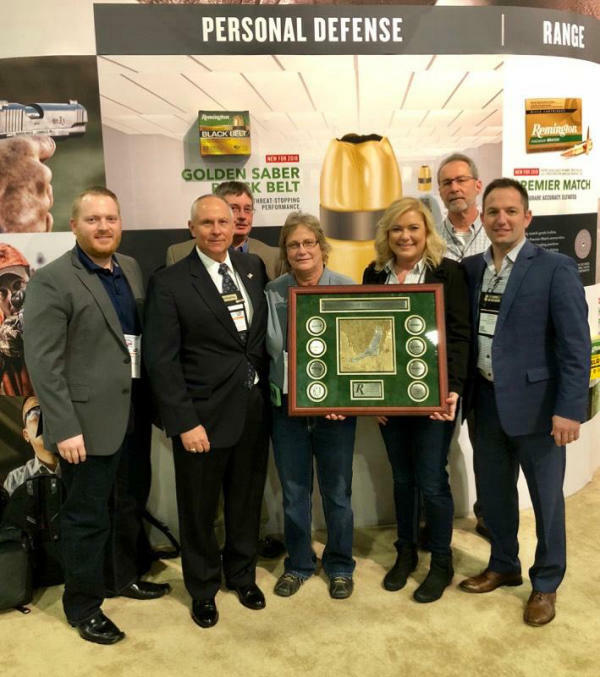 Las Vegas, NV – Zanders Sporting Goods, a national distributor located in Sparta, Illinois, was honored with two awards at this year’s SHOT Show. Both Remington and TriStar Arms each awarded Zanders with their prestigious “Distributor of the Year” awards for 2017. The Remington award encompasses all brands under the Remington Outdoors company. These awards are bestowed upon distributors who exhibit high levels of product management and knowledge as well as exemplary customer service. 2018 is the first year Zanders has attended SHOT Show as an exhibitor and it already has been a huge success for the company. For more information about Zanders’ line of Remington or TriStar products, dealers are encouraged to contact their sales representative. Zanders full line of products is also available at their website: www.gzanders.com. call (800) 851-4373 or visit www.gzanders.com.